Ideal for concealing hair loss, Nanogen Aquamatch Black is a waterproof pencil that helps to blend your hair with your scalp, covering areas of baldness and thinning. 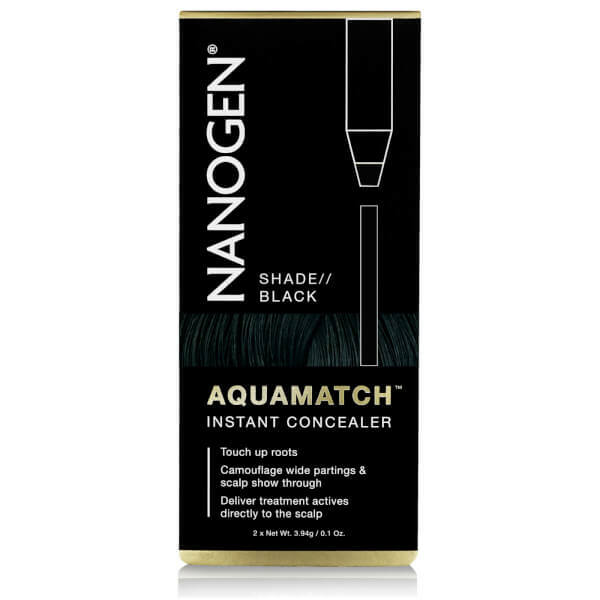 It can also be used as a base under Nanogen Hair Fibres, whilst the waterproof formula will still wash off easily in the shower. Gentle enough for every day use, it will easily withstand the elements to keep your hair looking full and thick from morning until night. Apply a few strokes of Aquamatch directly to your scalp and blend with your fingertips to make the edges more subtle.